Cheese is the way to my heart. And then add a tiny kick of spice and melt it? I’m head over heels. 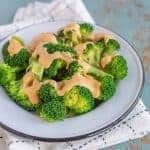 This Nacho Cheese Sauce is everything you could want in a cheesy condiment, and it’s a breeze to make. 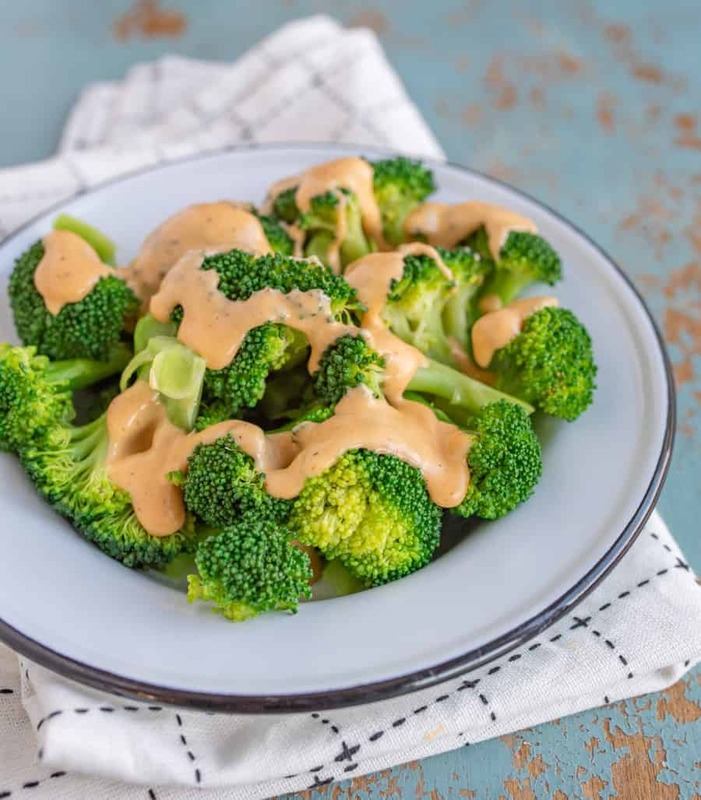 Dress it up on a pile of steamed broccoli or dress it down over a plate of chips or sweet potato fries–either way, this Nacho Cheese Sauce recipe is sure to be the melty, gooey drizzle of your dreams. I guarantee it. 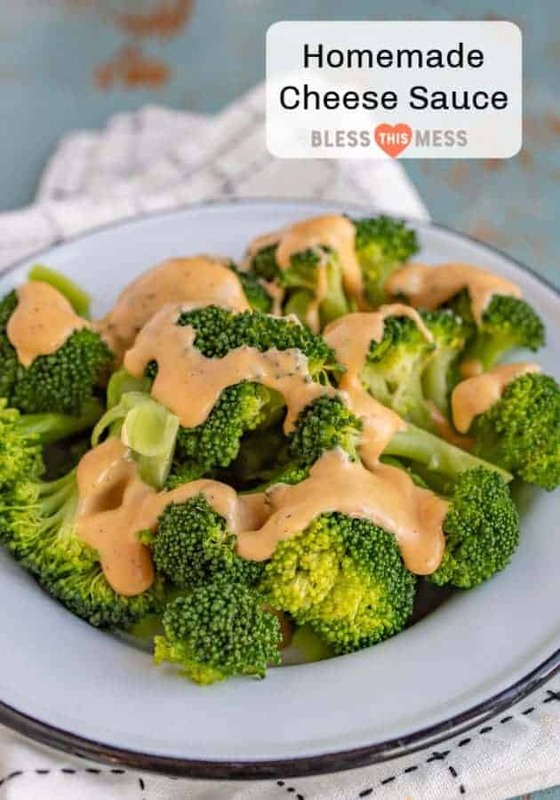 I remember as a kid, sometimes the only way my parents could get us to eat veggies was if they melted some Velveeta and covered our cauliflower or baby broccoli with it. I’m not saying bribing your kids is the way to go, but hey, sometimes we’ve got to compromise with the little ones, right? This cheese sauce is a slightly more elevated version of my parents’ rendition. It’s got a small bite of spice from chili powder, paprika, and optional hot sauce, and it goes good on nearly everything. Scratch that. It goes good on everything. Give it a try next time you’re making Tex-Mex, add it to cooked rice for a cheesy rice dish, or go the amped-up veggie route. You can’t go wrong, and that’s what makes it so right. What is Nacho Cheese Sauce made of? Nacho cheese is kind of like dog breeds. All types are created uniquely, but wonderfully. My version has a little spice to it, but you can amp it up or down depending on your palate. This recipe includes butter, cornstarch, milk, cream cheese, sharp cheddar cheese, paprika, chili powder, and optional hot sauce. Can Nacho Cheese Sauce be frozen? Totally! Since this is technically a liquid, it freezes well. I’d recommend portioning it out into the amount you’d like to have in a sitting rather than freezing one massive tub of it, that way you don’t have to thaw the whole batch out and attempt to refreeze any leftovers. What do you do if your cheese sauce turns out too thick or thin? The portions in this recipe really should yield a nice, thick-but-not-too-thick consistency. 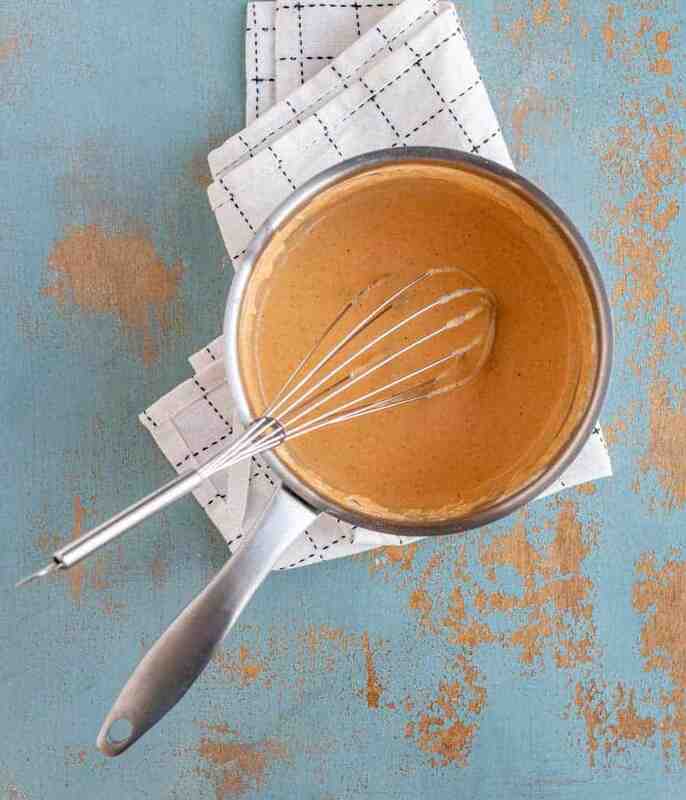 But if you have problems with it being too thick, whisk in a tablespoon or two more of milk until it’s a good texture. For sauce that seems too runny, sprinkle in a pinch more of cornstarch and whisk until smooth. In a medium sauce pan over medium heat, melt the butter. Sprinkle the cornstarch on top, and whisk to combine. Let the butter mixture cook for 30 seconds while stirring. Slowly whisk in the milk, and continue whisking until well combined and hot. Add the cream cheese, and stir until melted. Add the cheddar, and stir until melted. Take the pan off of the heat, and stir in the paprika and chili powder. Add hot sauce, a teaspoon at a time, until it reaches your preferred level of spiciness, optional. Serve while still hot over nachos, on steamed veggies, with oven fries, or dip bread sticks in it. Shredding your own cheese from a block creates a smoother texture. The pre-grated kind seems to have some anti-caking agents that gum up the nacho cheese sauce a bit. It’s also great on all things pulled pork sandwich (kind of like Arby’s), nachos, and everything in between. It’s a fun way to add a little excitement to steamed broccoli too. You are going to love this recipe!